I’ve just about finished quilting the prayer quilt. 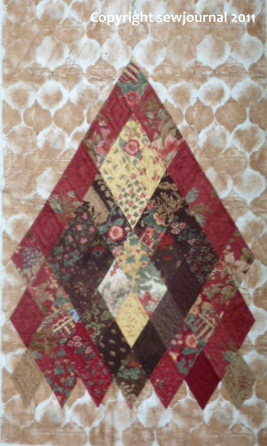 I may put a little more of the Perle quilting beneath the bottom of the diamonds. I’m not sure yet. 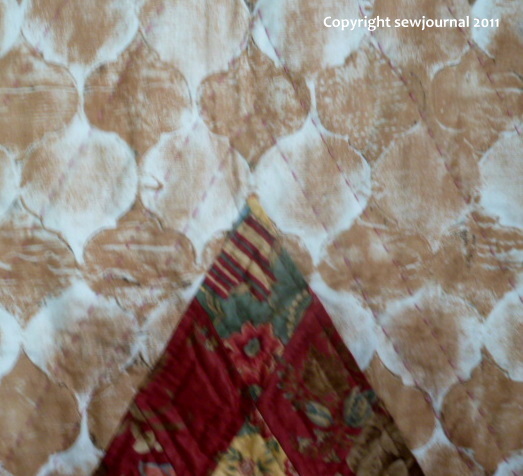 It’s a bit hard to see the Perle quilting in the whole picture so I’ve included a couple of close-ups. Thank you all for your input. 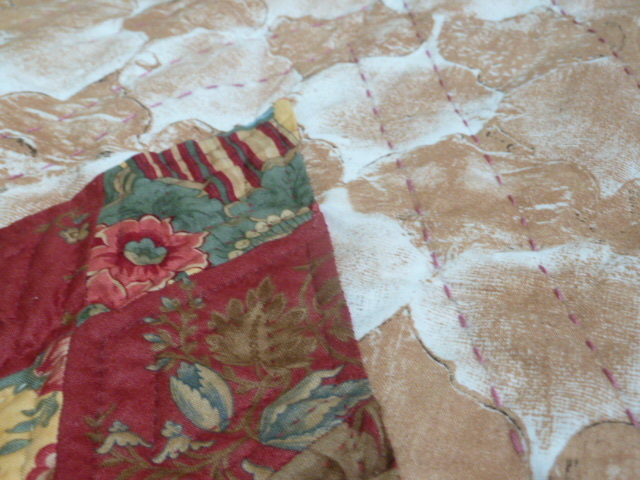 I decided to go with the most popular option and quilt the background in large Perle stitches. I’m happy with the result. Now to bind it. I can’t say I’m looking forward to it as I’ve developed an allergic rash on my forearms which I think is caused by this red backing fabric. Pity abut the allergies, that’s a gorgeous backing and really suits the purpose. Long sleeved shirt next time!